SO much FUN! Did you catch the special two-hour telecast “Disney Channel Presents the 2017 Radio Disney Music Awards” (SUNDAY, APRIL 30 at 7:00 p.m. – 9:00 p.m., ET/PT)? 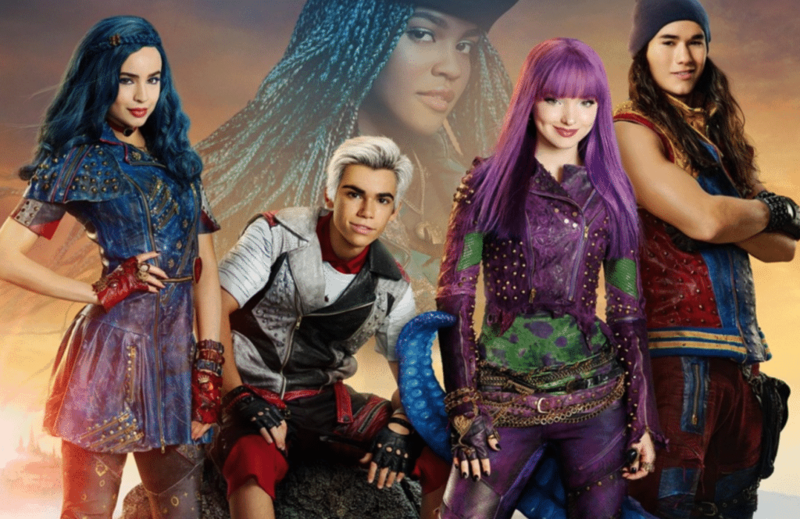 It included two big debuts from the highly anticipated “Descendants 2″movie — the exclusive world premiere of the “WAYS TO BE WICKED” music video and the Descendants 2 must-see TRAILER DEBUT. Let’s just get right to it for all the Descendants fans out there! In case you missed it, here is the Descendants 2 trailer! Full confession – I have seen parts of this movie already and it is FANTASTIC. Look out for interviews coming up on Lady and the Blog featuring your Descendants 2 favorites! Here’s a picture I took of Dove Cameron. She was so NICE. I can’t wait for you to check out what we spoke about. As you know, “Descendants 2” stars Dove Cameron, Cameron Boyce, Sofia Carson, Booboo Stewart and China Anne McClain. They all actually made an appearance during the 2017 Radio Disney Music Awards. You know the audience went wild. I mean… it’s THE DESCENDANTS! As announced earlier this week, “Descendants 2” premieres FRIDAY, JULY 21 (8:00 p.m. ET/PT) on five networks – Disney Channel, ABC, Freeform, Disney XD and Lifetime! And now onto the “Ways to Be Wicked” Music Video from Descendants 2! A MUST WATCH! Literally – I could listen to this song all day. Natalie LOVED IT TOO! How could you not? I know how this fits into the storyline… but I don’t want to tell you a single thing. You are just going to have to wait and see. 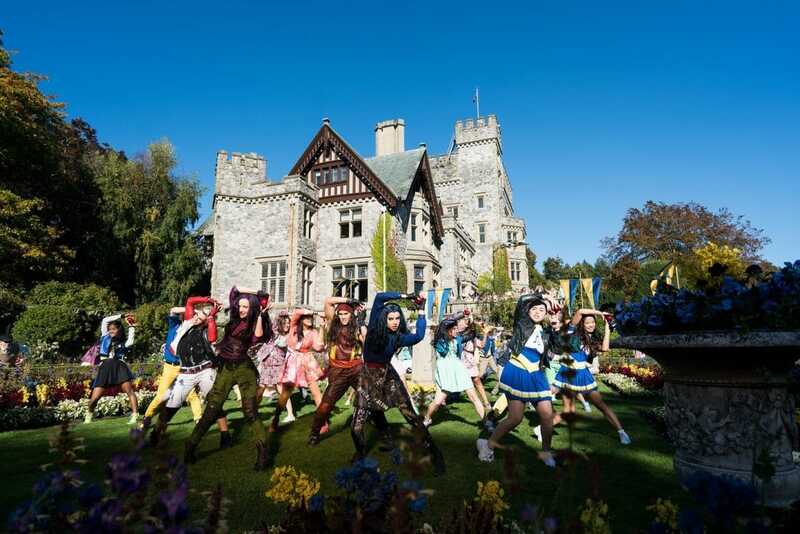 “Ways to Be Wicked” is the high-energy pop rock anthem performed by our Villain Kids (aka the VKs) – Dove Cameron, Cameron Boyce, Sofia Carson and Booboo Stewart – which opens the movie “Descendants 2.” The song is produced by Sam Hollander and Josh Edmondson who wrote the song with Grant Michaels and Charity Daw. “Ways to Be Wicked” is the FIRST music number released from the movie. Need a little refresher on what Descendants 2 is about? No prob! We even have a few new villains in town and they are… awesome! I mean, awesome in an evil way. Are your kids gearing up for the Descendants 2 release? It looks like it is going to outshine the first – as if that is possible! *Disney invited me to LA to preview parts of Descendants 2 and to interview the cast. All opinions are my own. The Descendants rule by the way… in case you didn’t know. Now you do. I’m just going to be over here dancing with my wig on.